It is believed he committed suicide. Very tragic and RIP. For the third time in four years, the Denver Broncos are dealing with the death of a teammate. Wide receiver Kenny McKinley was found dead in his home Monday in an apparent suicide. Arapahoe County Sheriff Grayson Robinson said authorities were called to McKinley’s home in Centennial at 3:35 p.m. local time and found McKinley’s body in the second-floor master bedroom. He said detectives believe McKinley, 23, was killed by a self-inflicted gunshot wound. Robinson said authorities were called by a female friend of McKinley’s who discovered the body after returning from an errand with his young son. The sheriff declined to say if authorities found a suicide note. “It’s still part of our investigation and probably nothing we’ll talk about right now,” he said. McKinley was on injured reserve after hurting his left knee in August for the second time in eight months. He was known for his infectious smile and good sense of humor. “Everybody has their explanations, their own theories. Whether it was injuries, no one’s going to know for sure,” Bondarowicz said. “It’s a tough situation all the way around. Bondarowicz said funeral arrangements were pending. He also said he’s been in touch with team and the players’ association about setting up a trust fund for McKinley’s son. McKinley’s death is the latest in a series of tragedies for the Broncos in recent years. Cornerback Darrent Williams was slain in a drive-by shooting on New Year’s Day 2007, and three months later backup running back Damien Nash collapsed and died after a charity basketball game in St. Louis. McKinley was a fifth-round draft choice out of South Carolina in 2009. He remains South Carolina’s all-time leading receiver with 207 catches for 2,781 yards. He returned to the school earlier this month, watching the Gamecocks beat Georgia 17-6 and visiting with his college coach, Steve Spurrier. “Had a wonderful smile just like he always did,” Spurrier remembered. The news of McKinley’s death spread quickly at the end of South Carolina’s practice Monday. Players who normally sprint off the field upbeat walked slowly with their heads down. “Kenny was certainly one of my all-time favorite players. It’s hard to figure out why it happened like this,” Spurrier said. He held the school’s career homerun mark for over three decades. Small also played very briefly in the major leagues with the Atlanta Braves. RIP. Hank Small, whose 48 career home runs from 1972-75 stood as the USC record for more than three decades, was 56. David Small said his brother fell Tuesday night while moving into his new home in Griffin, Ga.
Hank Small lost his balance on the steps in front of the house, fell backward and struck the back of his head on the pavement, according to his brother. He lost consciousness and never regained it due to massive trauma, David said. Small was the first true home run hitter at USC. In the nine-year period leading to Small’s first season, USC hit 42 home runs. Small hit six more than that the next four years himself. Teammates called Small “Hams,” which was short for “Hammer,” because the 6-foot-3, 205-pound first baseman/outfielder was every bit the power hitter that Hank “The Hammer” Aaron was for the Atlanta Braves at the time. Although Small was known for his prodigious home runs, he was the consummate hitter, possessing the ability to drive the ball to the opposite field. 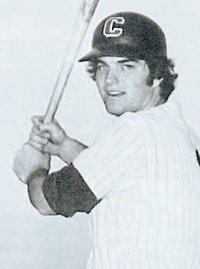 Small batted .379 as a freshman in 1972 with four home runs, then slumped to .282 as a sophomore with eight homers. Aluminum bats were used for the first time in 1974, Small’s junior season. Small batted .360 his junior year with a school-record 17 home runs and was a second-team All-American. Then, as a senior, he batted .390 and broke his record with 19 home runs and earned first-team All-America honors. His home run total as a senior stood as the USC single-season record until Joe Datin hit 23 in 1985. His 48 career home runs stood as the school record until Justin Smoak hit 62 from 2006-08. Small’s career coincided with the rise to big-time baseball for USC under coach Bobby Richardson, who arrived for the 1970 season. The ’74 club made USC’s first appearance in the NCAA tournament, and the following year USC advanced to the College World Series. USC lost the championship game to Texas, 5-1, with Small’s homer accounting for USC’s run. “I feel like that team I was lucky enough to be on was, in my mind, probably the greatest team I ever saw in college,” said David Small, who was a teammate of his brother’s on the ’75 team and now works in building supply sales in the Atlanta area. George Henry Small was born in Atlanta on July 31, 1953. June Raines recruited Small out of Atlanta to play for Richardson. Raines, who left for professional baseball, returned after Small had finished his USC career. Small was selected in the fourth round of the Major League Baseball draft by the Atlanta Braves. He advanced quickly through the minor-league system and batted .289 with 25 home runs and 101 RBIs for Richmond of the Class AAA International League in 1978. He earned a late-season call-up to the major leagues and played in one game for Atlanta on Sept. 27. Small went hitless in four at-bats in his only big-league game. South Carolina’s first victory over a No. 1 team will cost $25,000. The Southeastern Conference fined South Carolina that amount Wednesday for violating league rules against permitting fans on the playing area following a 68-62 victory over top-ranked Kentucky on Tuesday night. As the game neared the end, security at the Colonial Life Arena held up a yellow rope to keep the people off the court. However, South Carolina guard Devan Downey urged students to join the players in celebration as time ran out. The Gamecocks had been 0-7 in the program’s history against No. 1 teams before the Wildcat win. The scene was so crazy, Kentucky coach John Calipari headed straight for the locker room instead of walking to South Carolina’s bench for the traditional postgame handshake. This was considered South Carolina’s second such violation, the first coming five years ago after another win over Kentucky. The NCAA justifies the fine by saying it was done for safety purposes. As a person who remembers the wild celebrations that took place after the playoffs and World Series victories of the NY Mets in 1969, I really think this is another instance of the nanny state run wild. South Carolina’s upset was something to celebrate. The policy went into effect on Dec. 1, 2004, less than two weeks after a brawl involving players and fans during a game between the NBA’s Indiana Pacers and Detroit Pistons at the Palace of Auburn Hills, and one day after another fight among players in a Clemson-South Carolina football game. What happened in 2004 was outrageous but a mostly isolated instance. Angry athletes charging into the stands just doesn’t happen all that often. I can think of an incident at a NY Ranger hockey game. Anyone know other such disturbances in North American sports? The 19-year-old has broken the law twice in the last month. COLUMBIA, S.C. – South Carolina quarterback Stephen Garcia, arrested twice in recent weeks, will not participate in the Gamecocks’ upcoming spring practice. Garcia was arrested Saturday and accused of damaging a professor’s car with a key. Last month, the 19-year-old was arrested and charged with drunkenness and failing to stop for a police officer. He’s going to miss spring practice? That may be a reward instead of a punishment. Note- I fixed this post from what I originally wrote. The Yahoo headline was deceptive and I fell for it. No oee to blame but myself. Steve Spurrier, who has denied interest in but nonetheless heavily touted for the openings at Miami and Alabama, has signed a lucrative extension with South Carolina. South Carolina coach Steve Spurrier has almost a half-million more reasons to stay with the Gamecocks. The university’s board of trustees on Saturday approved a reworked contract that increases Spurrier’s yearly salary to $1.75 million, up from his current package of about $1.25 million. The first coach to lead South Carolina to a bowl in his first two seasons also had his contract extended through the 2012 season. The agreement also increases the buyout Spurrier or the school would pay to terminate the contract from $250,000 per remaining year to $500,000. Athletic director Eric Hyman had approached Spurrier about putting his deal more in line with other coaches in the Southeastern Conference. The two hoped to handle that in the spring, but rumors of Miami and Alabama showing interest in Spurrier sped up the process, Hyman said. A good move by USC and one that makes sense for Spurrier at this stage. He’s built a solid program there and Alabama, especially, would be a serious rebuilding effort. He’s put the Gamecocks in a position to win the SEC. The only real draw to one of the other programs would be money, which he doesn’t need, and a somewhat easier path to another national championship. It has been nearly twenty years since the Cincinnati Bengals were this far down in the draft. Jason Allen, the player projected here, was taken by the Dolphins at #16. Pick: They went for another DB, Johnathan Joseph of South Carolina. Jackson pointed out that he didn’t want the Gamecock dropped as the school’s mascot totally but wants the spurs removed from the chicken’s feet on the logo. Some giving levels in the Gamecock Club are Spur levels and the mascot prior to Cocky was Big Spur.